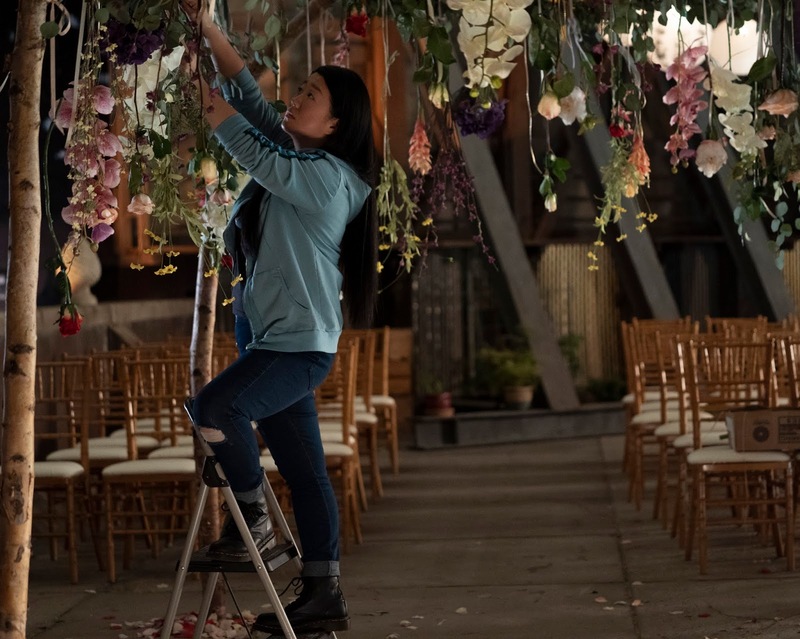 How does a show that ended its penultimate episode with a cliffhanger, which was both nauseating, and heartbreaking, wrap up its season with an episode that could heal the fans hearts? How do they put something together that will make the fans see a bigger picture and acknowledge why the show is the best there ever has been on Freeform? Well, they let Joanna Johnson write and direct this almost fifty-minute episode, and it is phenomenal. You will experience a roller coaster of emotions; however, the past intensity is missing. This is not a bad thing - after last weeks episodes ending, things needed to hit a little softer. So much is going on in this episode. The Jamal Thompson case finally opens its hearings amid protests outside the courtroom. 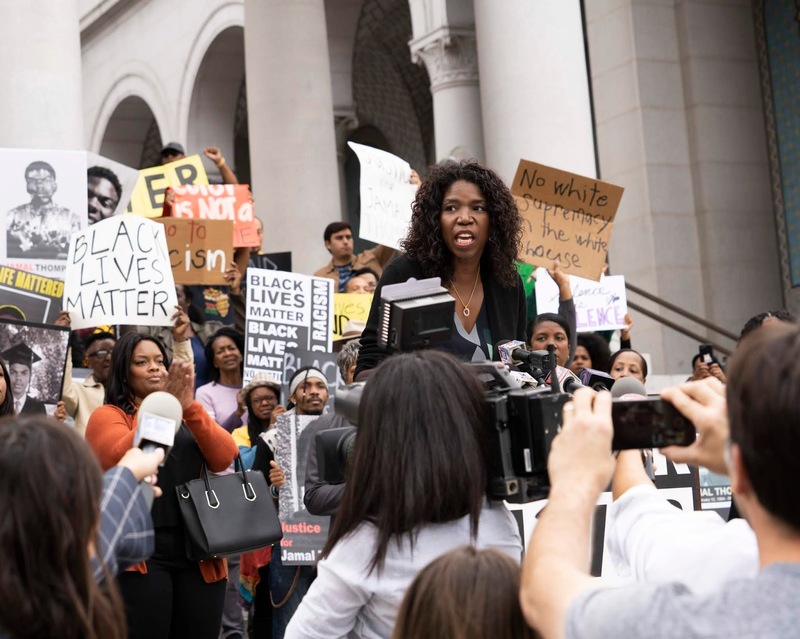 Callie’s conscience is conflicted after seeing all the people young and old at the rally that Malika put together, showing up to fight for what’s right. Patrisse Cullors, one of the "Black Lives Matters" co-founders makes an appearance as herself in the protests scenes. Malika is dealing with personal issues that prevent her from attending the protest, but her Coterie family represents her. Malika gets to be there for Dom and her mother in a way that will break your heart. The wedding is happening, and preparations are underway but there some uninvited guests that show up, cue the laughs because it is entertaining. Alice, the lovely overcompensating people pleaser, is breaking her back to make Sumi’s wedding special, and I hurt for her. There is a scene between Alice and Joey that finally makes Alice realize that her life could be better if she faces her demons. This scene is so well written that my anger at Alice dissipated and I saw her in a different light. Kelly who we mostly see randomly responding to others in the Coterie has a bit of interaction with Alice and Davia. I am fine with her background presence, but we might get more from her in season two. Emma Hunton is an amazing actor, and when she is in a scene, she carries it through with a lot of power. Davia meets Vivian’s dad, and in a scene that’s close to five minutes, we watch as she sits and listens without judgment to this man that is going through a tough time. Johnsons writing about these delicate issues is outstanding, and this particular exchange will make you cry so bring your tissues. Davia makes a decision about Wisconsin and if you were hoping her Jeff situation will be settled in this season? It is complicated. Over at Spekulate things seem to be going downhill after Angela gave Mariana the details of the salaries. Some of the women engineers supported Mariana's plan to make public the information on compensation disparities, and understandably others are afraid of losing their status and jobs at Spekulate. I loved everything about Mariana in this episode, she is assertive and calm and absolutely committed to the path of Good Trouble. We see Mariana in a tense situation with all the employees at Spekulate knowing very well that she could lose her job. I am still on the fence about Evan, but I declare myself team Raj. I was terrified that this episode would have Callie dealing with picking a man, and even though she is battling a slew of decision making, it has very little to do with the two suitors. She spends time exploring how she has handled herself since she moved to Los Angeles and started her clerkship. We are treated to a magnificent Callie Versus Callie mind game, which plays out in real time, and it is beautiful acting and filming. Maia Mitchell is quite underrated despite how fantastic she is in this show. Initially, I was dubious of the Coterie living situation, and I wondered how the show would make this work with all the characters? I have to admit the choice to have Callie and Mariana live in a community setting was clever. They let us in into all these other characters lives and made us fall in love with them. These people were not just here as plot devices, they had their own stories, and they have taught Callie and Mariana to be better people. “Blessed Arted” was used to prepare fans for a characters death that occurs in “Vitamin C.” Despite the grief that comes with this loss, personally, I was emotionally prepared. 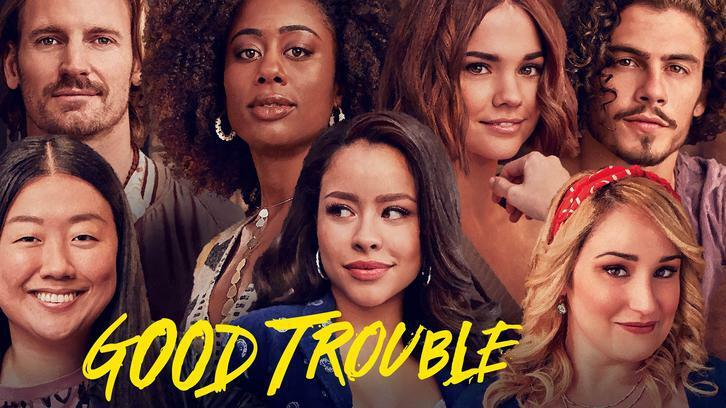 With a touching scene between Jamal's mother and Malika after the rally, a tearful talk Alice has with her parents, a lovely bonding for the Foster sisters and a familial rooftop gathering of the Coterie crew, Johnson brings it home gracefully Tuesday night for Good Troubles season one finale. See you in June for Season Two.